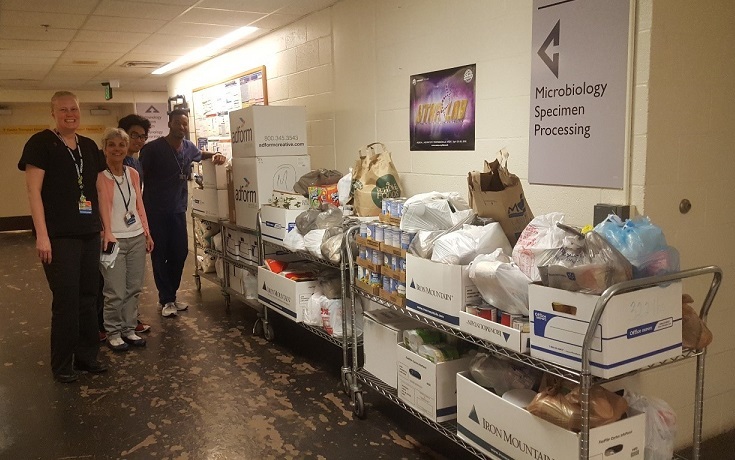 Lab Week Charity Project for Maryland Food Bank Brings in 1,589.93 Pounds of Food! Food drive coordinators Carrie Holdren-Serrell and Paula Mister of Microbiology were amazed and gratified by the overwhelming generosity of our staff. Carrie’s “thermometer” (see photo below) went through the roof, surpassing our goals for collection! Rev. 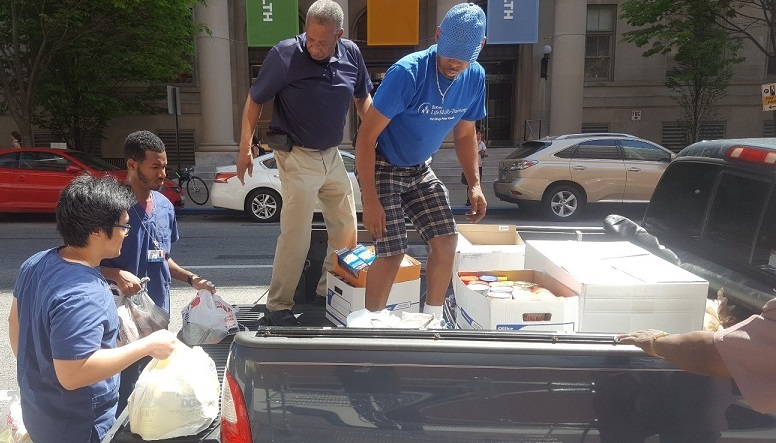 Andre Samuel of Fishes and Loaves Ministry in West Baltimore and his assistants came with two trucks to pick up the food on behalf of the Food Bank. 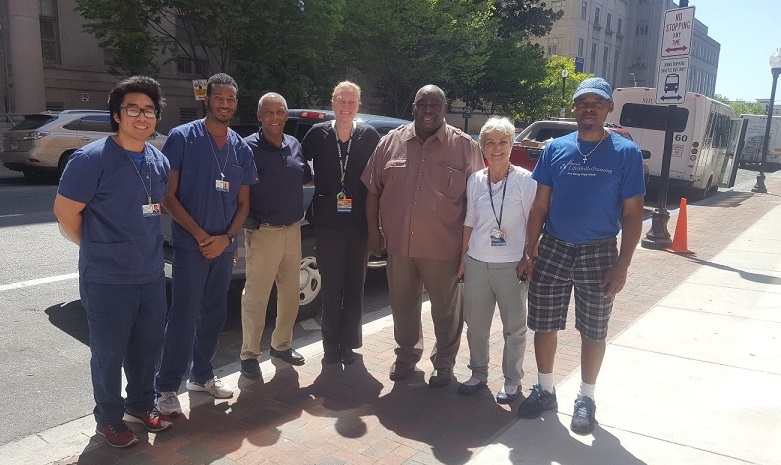 We were happy to have help from two University of Delaware MLS students, David Ribaya and Nyle Smith, with loading the food — four huge cartfuls! !